Subcomm Pools aims to be a leading company in the designing and building of residential and commercial pools in the Virginia, Maryland and Washington, DC region. We install in-ground pools which fit your budget, lifestyle and landscape. The concrete and vinyl pools of Subcomm Pools can bring additional luxury to your home, hotel or commercial property. Pools not only provide hours of relaxation and joy, but they also increase the value of your property. According to Money Magazine research, the installation of a pool can boost real estate’s value from 20% to 50%. - The average life of a liner is about 10 years. + These pools have a solid structure and have no liner that needs to be replaced. + These pools are fully customizable - size, depth and shape. In vinyl pools, we use a polymer or a metallic supporting structure over which the factory-formed vinyl-liner is installed. The installation of a vinyl lined pool takes about 2 weeks. The times given do not include getting a building permit. When we install a gunite concrete pool, we use concrete in the building of the groundwork. This installation takes from 6 to 8 weeks. The times given do not include getting a building permit. When you contact us about the installation of your pool, we will discuss your available options according to your needs. During installations, we will keep you informed each step of the way. 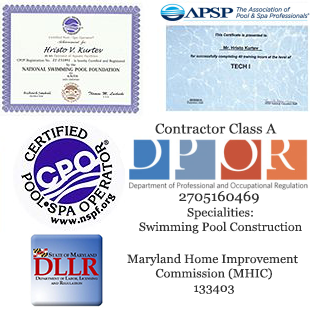 Once the pool is ready, we will be available to answer all of your questions and provide you every service in the maintenance of your pool as needed. 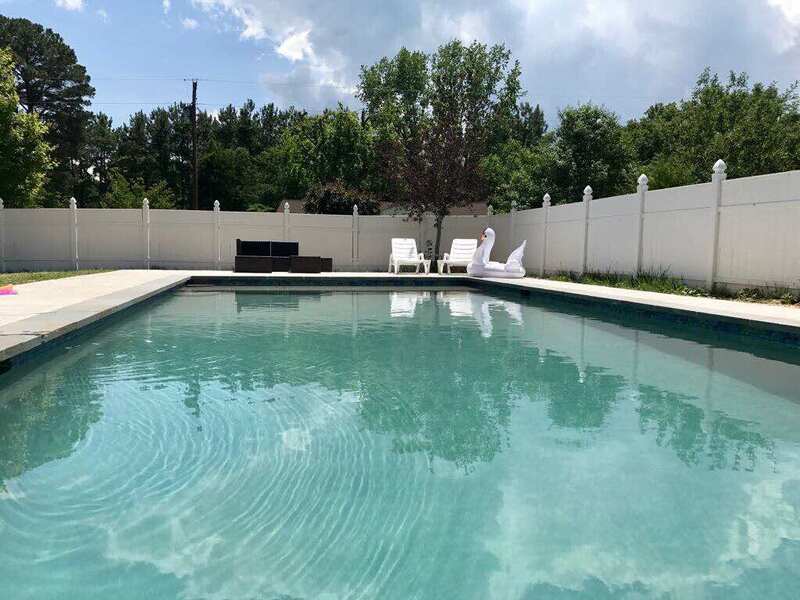 Whether you want to build a new pool or remodel an old one, we have the knowledge and experience to create a beautiful and elegant pool that will give you years of enjoyment without need of expensive renovations. Subcomm Pools is located in Falls Church, Virginia. We serve Northern Virginia, Maryland, and Washington, DC. We are always eager to answer questions and offer our expert advice on the pool products and services our customers need. Give us a call today!